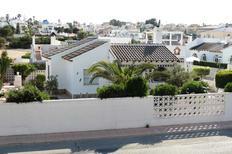 Holiday villa for six people in Andalusia, located directly on the steep coast. ​Spain‘s coast | Gaze across the sea, watch the sun disappear in the water and enjoy a glass of wine at the Mediterranean Sea: This is possible in one of these holiday apartments. Pool by a country house for eight people. Costa Blanca | Poolhouses encourage dreaming and relaxation. You can enjoy your holiday to the fullest from the pool, with a view of the mountains or the sea. Beach and pool close to each other in a holiday complex at Peñíscola with apartments for four people. Costa del Azahar | Vacation in Spain often means vacation at the beach. With these holiday apartments and houses at the Costa del Azahar you are no further than 100 metres from the Mediterranean Sea. 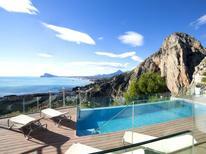 ​​Costa Blanca | Maybe it’s a bit decadent to directly look at the sea from the own pool. But it’s so nice and when on holiday some treats are allowed. These holiday houses have a pool and offer a clear view of the sea. 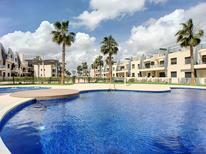 Costa Blanca | Mediterranean, pool or both? A holiday house in the region Valencia costs on average USD 780 in the cheap travel period and USD 1,632 in the peak season per week. These details are of course in relation to the house and not per person as well as includes the obligatory additional charges. Located on the east coast of Spain, Valencian Country is an autonomous community which is renowned for its gorgeous beaches, turquoise seas, breath-taking landscapes and delicious cuisine. 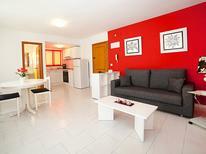 Choose a holiday apartment and book online through TUIvillas.com to enjoy all the comforts of home. Many accommodations offered by TUIvillas.com in the Valencian Country offer you amenities such as a private pool. This region is renowned the world over for its various rice dishes and juicy oranges. When you're staying with a holiday rental in the Valencian Country, one of the dishes that you must try is their traditional Paella – a rice dish made with meat or seafood. Another quinessential dish is Sepia amb Ceba, a warming strew made with cuttlefish and onions. Do not forget to try the Turron here, a dessert that is made of honey, sugar, toasted almonds, and egg whites. The capital city of this autonomous community, Valencia, is home to the City of Arts and Sciences. Located on the former river bed of Turia, City of Arts and Sciences houses a science museum, an open-air aquarium, an IMAX theatre and an Opera house. Santa Barbara Castle sits atop a hill in Alicante, and is a 9th century Muslim castle that offers you some lovely views of the surrounding region. If you're looking for sandy beaches that stretch for miles and offer you secluded coves to swim and snorkel, Valencian Country is the place to be. Platja de Muchavista is a gorgeous golden sand beach that is perfect for water sports, long walks, and windsurfing. Del Moraig is one of the best naturist beaches in Spain and features a stunning cliff location.